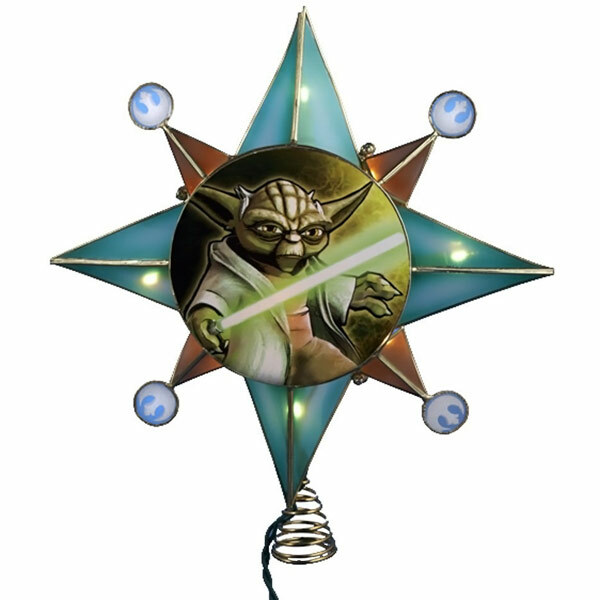 Top your tree with this Star Wars Clone Wars Gold Yoda Star Lighted Tree Topper this year and let the Jedi master stand guard over your Christmas tree. 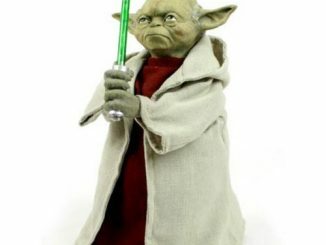 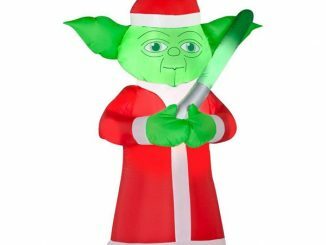 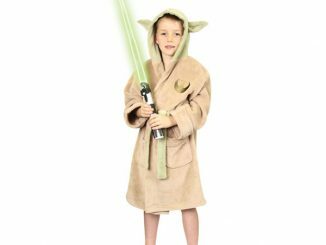 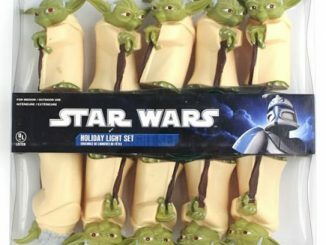 Now Yoda will be a part of Christmas, always watching over you as if you were training to be a real Jedi. 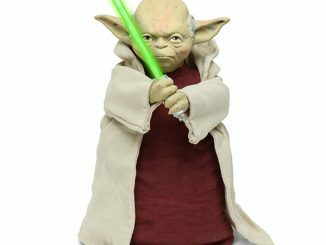 It measures a little over 10-inches tall. 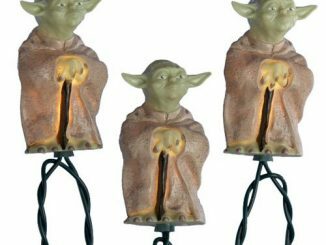 Nothing looks more dramatic on your tree than Yoda right at the top. 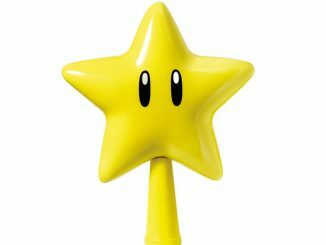 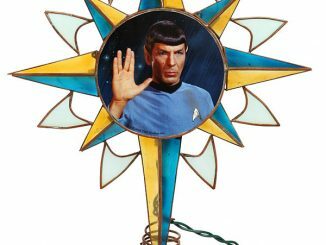 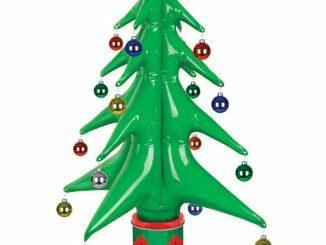 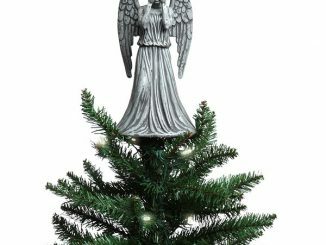 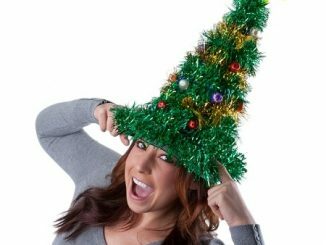 This awesome tree topper is $54.99 at Entertainment Earth and $39.75 at Amazon.com. 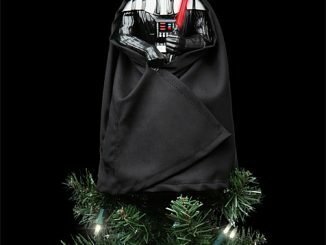 May the force be with you this holiday season as you open all of your presents.